Social media analytics show data about the performance of your content and products and what your audience is most interested in. Analyzing this data will help inform your overall marketing strategy. By paying close attention to social media analytics, you can optimize your accounts for maximum return on investment (ROI). We compared dozens of social media analysis tools and chose 15 of the best based on cost, ease of use, and reporting capabilities. Sprout Social is for businesses that are looking for side-by-side comparisons of their own social media channels vs. competitors. It generates reports on post popularity and competitor analysis like growth and engagement, including shares, likes and comments from your followers. It will also allow you to schedule and post to social media platforms and see what is being talked about on social media about your industry or your company. Try Sprout Social if you need a more robust reporting tool with features that allow you to view your entire social media performance at a glance or each one individually. Sprout Social will make tracking your business’s social media performance straightforward and simple. Quintly offers customized reports for small businesses that are focused on using social media marketing to build relationships with their audience. Its reports include comparing one social media platform to another, engagement metrics including likes, comments and shares, plus analysis on follower demographics and overall growth. Try Quintly if you like the idea of generating automated, customized reports that are set to track the customized key performance indicators that you choose. It is also an ideal tool if you like the idea of comparing other business social media profiles in your industry to set benchmarks and goals for your performance. Cyfe is designed for small to medium-sized businesses focused on growing their email list, improving social SEO and tracking their social following. It lets you monitor all the major social media networks while also tracking app downloads and advertising performance on platforms like Google or Bing. It is worth checking out if you like the appeal of being able to create a robust custom dashboard that allows you to monitor various stats and key performance indicators (KPIs) in one place. Hootsuite is a tool designed for small-staffed businesses that need an all-in-one platform that allows you to create, schedule and measure the engagement of social media content and all with follower growth. 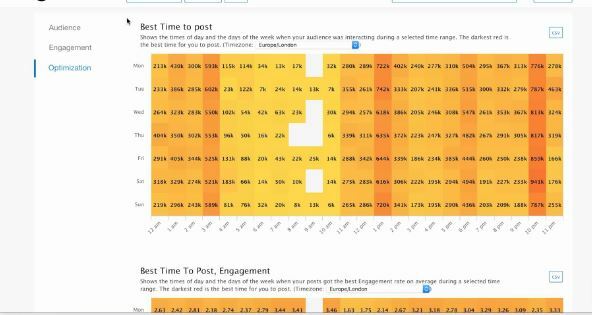 Hootsuite also offers a calendar that will assist you in determining the best time to publish a post or tweet based on when similar content performed well in the past. Hootsuite is best for those who want to measure and track their social media efforts but don’t want to be overwhelmed with information. 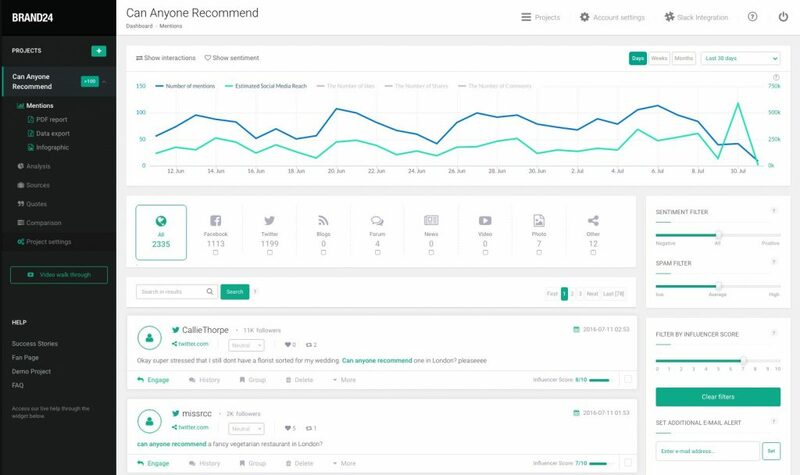 Keyhole is an all-in-one tool that specializes in helping businesses that are focused on how they show up in search, with custom keyword and specific hashtag monitoring. It also allows users to track industry influencers’ accounts in social media channels like Twitter, Instagram and Facebook. Keyhole is especially useful if you are in a competitive industry, developing an influencer campaign or want to track keywords for a specific event or contest. Keyhole offers reports in PDF or spreadsheet format, making it easy to read and share the most crucial stats. 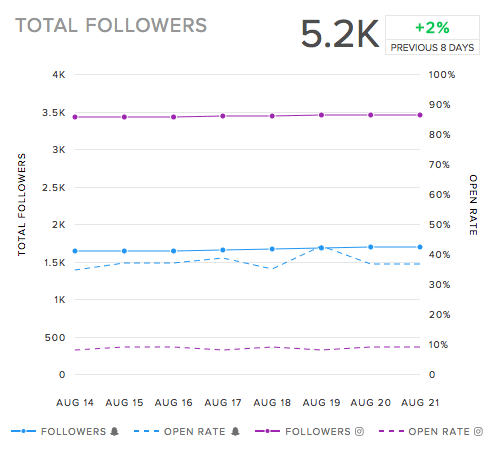 Buffer is designed for businesses that need an easy-to-use tool for tracking post popularity. It also allows tracking of your social media follower growth and posts with low engagement so you can update your content accordingly. 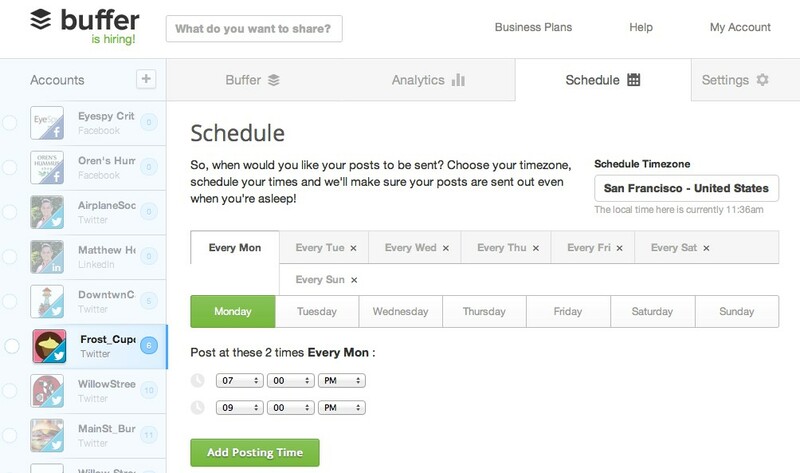 Buffer is a simple tool that makes planning, scheduling and monitoring your social media content easy. It also has some helpful features like a Chrome browser extension that allows you to add to content to your queue with a few clicks. Buzzsumo is an excellent tool for analyzing a topic or content performance online. 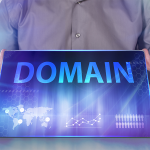 If you are interested the response a specific article has received, you can enter that URL and Buzzsumo will tell you how many shares and backlinks its received. By entering a keyword, Buzzsumo can generate reports that show the top content around that topic. It also has a report that will show you which posts are shared regularly throughout the year. 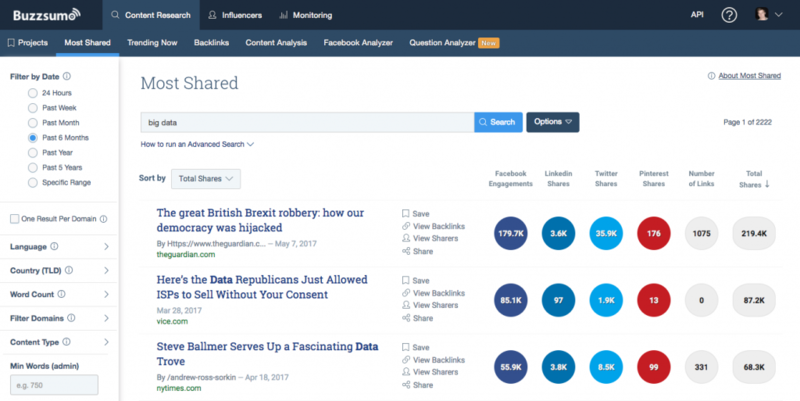 Buzzsumo is a great tool to use if you want to track trending content so that you can create engaging posts for your social media pages. It is also helpful if you want to create evergreen content that will have a high likelihood of gaining popularity a few times instead of just once. Brand24 is for small businesses interested in generating detailed reports on brand or industry mentions in social media, along with broad reporting on competitor performance. It also allows reports on the total engagement of specific hashtags on social media. Consider using Brand24 if you want to track specific keywords, mentions and hashtag use and engagement on one platform. Brand24 is specifically useful in monitoring the public’s response if your industry is in the headlines or getting news coverage. CoSchedule is an excellent tool for businesses that use content marketing and need to know the best times to post on social media for maximum visibility and engagement. It seamlessly integrates into content management platforms like WordPress. 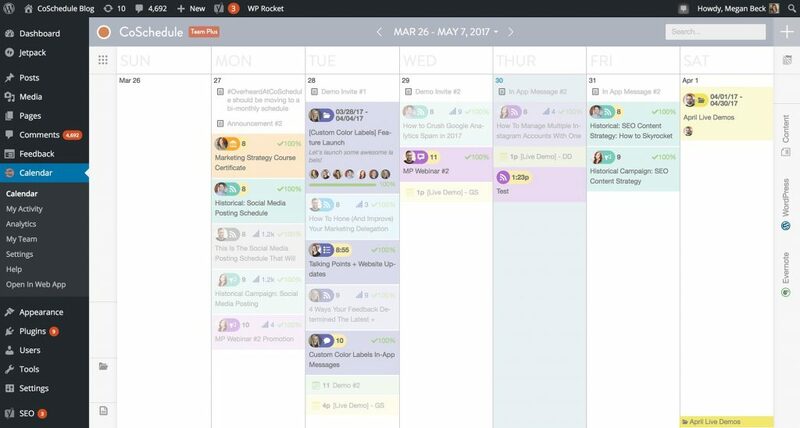 It also has a built-in editorial calendar that allows you to drag and drop both blog posts and social media content. CoSchedule is a good platform to use if you are producing blog posts and other long-form content, collaborating with a team or if you want to share your blogs on your website and social media at the best times for engagement. Later is an Instagram and Pinterest-focused tool that is helpful to brands interested in follower growth, scheduling and engagement. Later will let you drag and drop content on a calendar and provides tracking for what posts were most popular with your audience so that you can create similar ones in the future. Later is a useful tool if your business is focused on Instagram and Pinterest. It also allows you to type out and schedule your Instagram posts from your desktop, instead of your phone, which can make scheduling and tracking much simpler. Facebook Insights is for businesses focused on Facebook marketing that have an interest in detailed engagement metrics, growth and follower demographics. 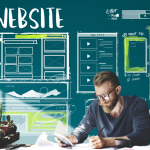 It allows you to see a complete snapshot of your audience, including a detailed analysis of your audience’s demographics, such as age, gender and relationship status along with some purchase behavior. If you have a Facebook Business page, you should take a look at Facebook Insights. It is a free tool and will help you better understand the type of audience your business page is attracting. This will allow you to refine the type of content you post on Facebook to appeal to your target audience. Tailwind lets you dive deep to see what is happening on Instagram and Pinterest. You can schedule your Instagram posts and Pinterest Pins and also drag and drop content and posts on different days of your dashboard calendar. It provides reporting on when your audience is online and most engaged. Tailwind also offers deep analytics regarding the popularity of the content you post. Tailwind makes monitoring and use of visual social media platforms like Pinterest and Instagram simple. 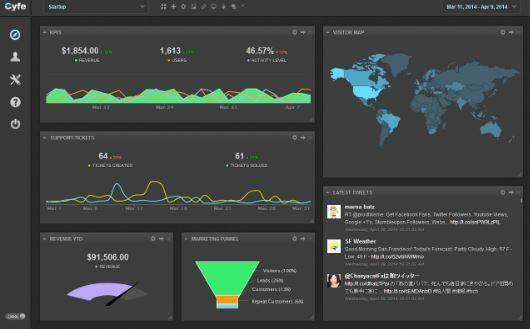 It integrates analytics into your dashboard so you can see them each time you log in. It also exports reports into PDFs or spreadsheets that include hashtag activity, most popular posts and audience demographics. If strong visual marketing is part of your overall social media marketing strategy, Tailwind is an excellent tool to try. Minter.io is perfect for businesses that are only using Instagram or are Instagram-heavy in their marketing. It offers Instagram analytics that go a little deeper, including competitor and growth tracking. It also offers Instagram profile management and customized reporting that can be exported into PDFs, PowerPoint presentations or spreadsheets. Look at using Minter if your marketing is focused on Instagram or if you have multiple Instagram accounts that you want to track on a regular basis. It can also be useful if you want to track various competitors for different Instagram accounts. Snaplytics is for Snapchat marketers who are interested in basic analytics, including Snap and story popularity and follower growth. It creates an entire library of your content so that you can see the stories that got the most engagement throughout the history of your account. 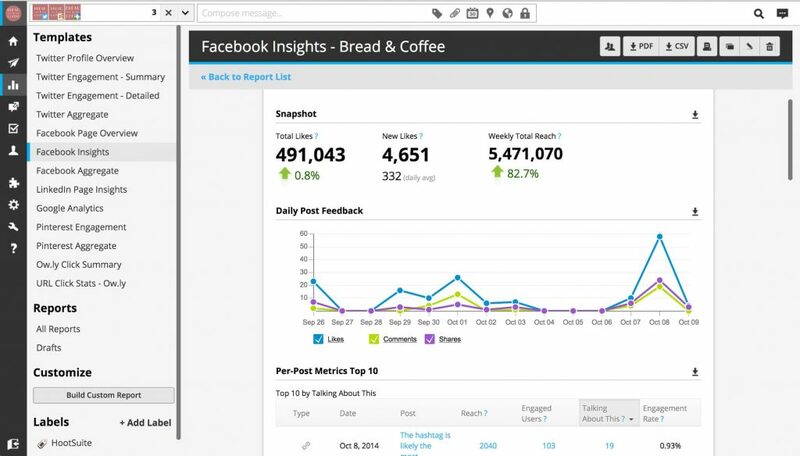 It also offers engagement insights to show the most impactful content for your target audience. Check out Snaplytics if you have chosen to include Snapchat stories in your social media marketing strategy. There aren’t many platforms that effectively monitor the story engagement on Snapchat, so this can be an extremely useful tool in refining your content to get the best results. ManageFlitter is a tool for businesses that are active on Twitter and need reports on hashtag usage, follower growth and likes and retweets. It allows you to see your follower growth along with overall Twitter engagement like retweets and likes. You can also use the dashboard to search, find and follow influencers on Twitter. Use ManageFlitter if your marketing is heavily Twitter-focused. Since it exports reports like influencers to follow, it can make your Twitter marketing much more effective. It can also assist in industry research and uncluttering your follower list so that you are only engaging with the audience that is engaging with you. Social Media analytics tools can help small businesses discover ways to increase their social media following, engagement, awareness and ultimately, revenue. We analyzed many of the tools available and created a comprehensive list of criteria that includes cost, features and ease of use. Cost: Some tools on our list are free or have free trials. Others are low-cost and higher to fit small and medium-sized budgets. 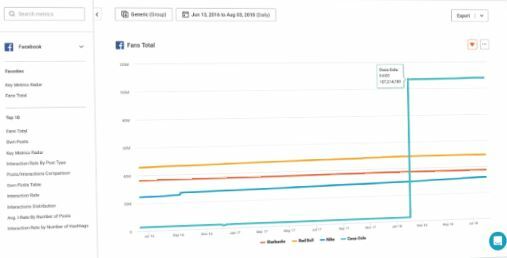 Features: We analyzed a wide range of tools to find solutions for reporting any metrics that you might need in your social media marketing, including follower growth, engagement, and competitor performance. Ease of use: The tools we chose should have a positive impact, making reports easy to access, freeing up time in your busy schedule and allowing you to optimize content you are posting on social media. Based on our research, we recommend businesses start by determining what social media platforms you will need to create analytics reports for and then sign up for either a free trial or a demo with the platforms that best meet business needs. Social media analytics tools are designed to make it simple to generate various reports regarding your social media marketing efforts and make adjustments so that you can see better results in your following, engagement and revenue. Small businesses active on social media are ideal candidates for analytics tools, giving them the resources to improve their marketing and ROI. If you need some help setting up your social media analytics tool to give you the exact data you need, consider hiring a social media consultant or social media manager from Fiverr. The person or agency you hire can handle everything from tool setup to content and graphics creation. Fiverr starts every job at just $5 and it has hundreds of social media marketing experts from which you can choose.